A children’s chapter book about a little dog who goes on a big adventure. Wise’s debut tells the story of Antoshka, a dachshund whom a woman named Mama adopts after finding him outside. She comes home from work one day to find her treasured crystal rose smashed on the ground, and so she sends the little dog to his room. 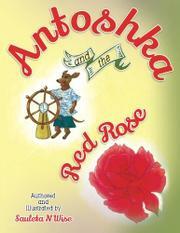 After Antoshka’s dog toys come to life, they all go on a quest to ask the sun for help in replacing the shattered rose. Along the way, they battle lions, go on a sea voyage and visit a magical land where they make friends with a dragon. Although the grand adventures seem to last for many days, Antoshka eventually opens his eyes and finds himself at home in his dog bed, as if no time has passed—and magically, a new crystal rose for Mama has appeared. Many children will likely enjoy Antoshka and his friends’ adventures. However, the book’s intended audience is unclear: Although the chapters are short enough for younger readers, some long words and complex language (“Diligent bees were gathering nectar from flowers, and dragonflies were doing aerial aerobatics”) may present problems for beginners. Some story events are questionable in a book aimed at young children; for example, when Antoshka and his friends encounter some unfriendly lions, they solve the problem by throwing rocks, kicking, biting and clawing, and they receive no comeuppance for their violent attack. Also, when the group boards a boat, the captain assigns each of them a duty but tells the only female, “Well, you can be an onlooker, Miss.” Somewhat amateurish full-color illustrations accompany the text. A short children’s book with the feel of a modern fable, albeit one with an ambiguous moral.